The Hope Center for Kids has been providing after-school mentorship and assistance to at-risk youths in Omaha for over 20 years. Started by Ty Schenzel in 1998 – “The Hope” has impacted the lives of countless kids by focusing exclusively on 4 things: Faith, Education, Collaboration and Employability. 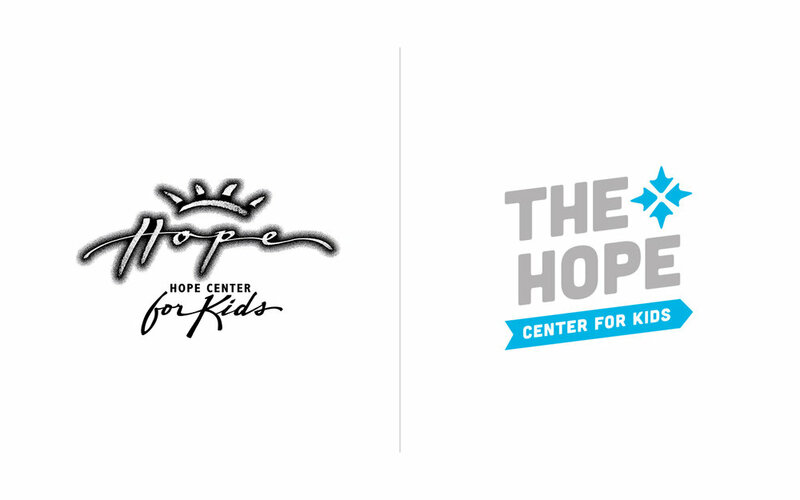 The Hope became our first monthly retainer client in 2013 – and we’ve been honored to work alongside them ever since! Our first task was to completely re-haul their branding – create a new logo, determine colors, fonts, and organize everything in a cohesive brand book document. Through multiple strategy meetings, much sketching, and lots of dialogue – we discovered that the kids at the center refer to the center as The Hope. We found this very endearing/powerful – and decided to make that a key part of the logo’s hierarchy. The accompanying hope “star” – leaps at a youthful angle, made up of 4 arrows pointing inward, hinting at the deep effects of The Hope’s four pillars on a kid’s life. 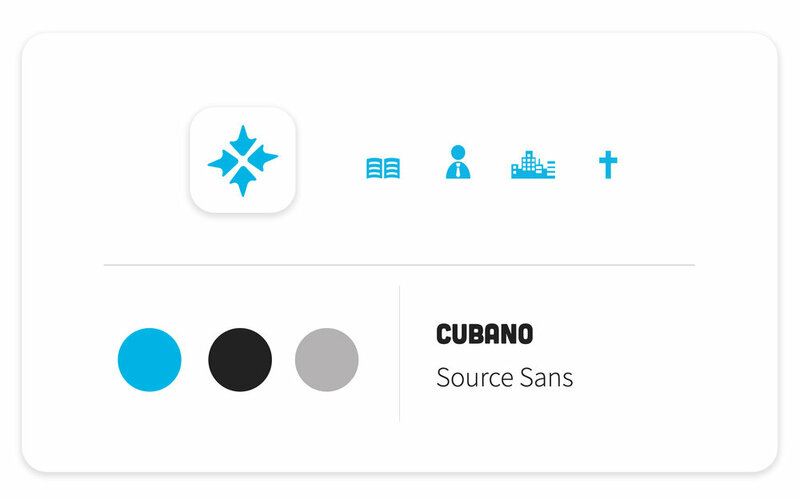 Lastly, the star is also a subtle cross – representing the deep faith of the organization. 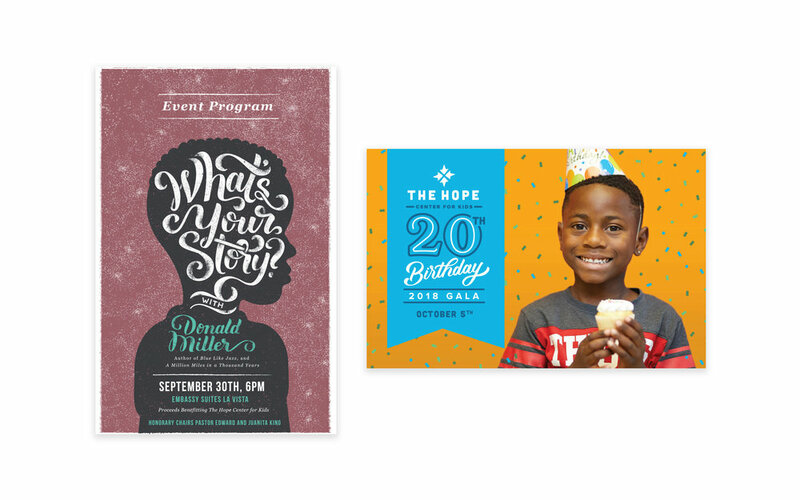 Over the years, we have created many different print and promotional items for The Hope, including trade show banners, stationery, magnets, t-shirts and more! 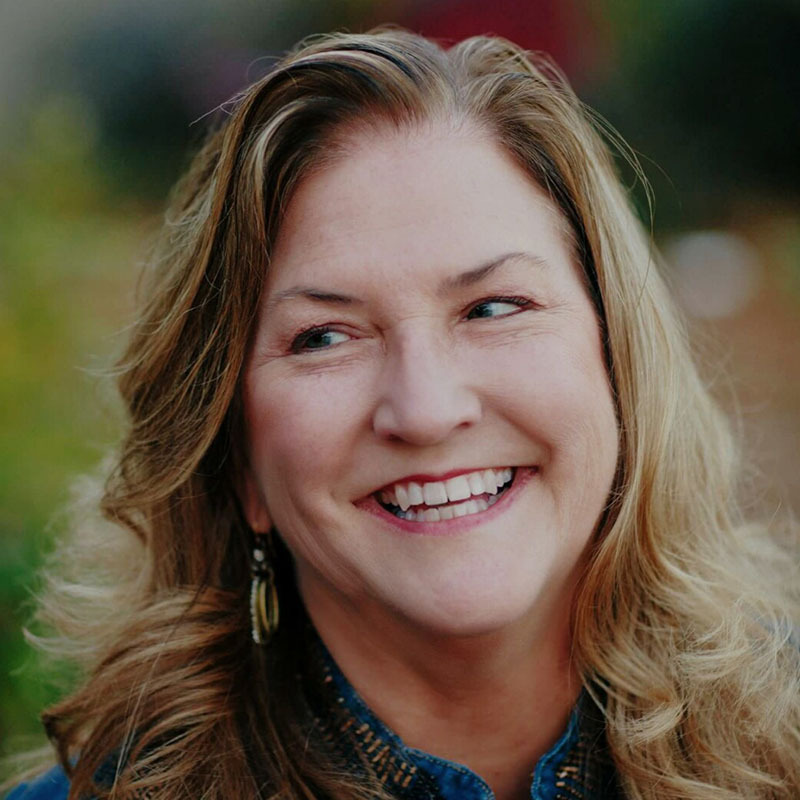 More than just wanting a “cool” website – it was very important to the Hope Center to have a site that they could actually use with ease on a daily basis. We quickly determined that a site on the easy to use yet powerful Squarespace platform would be the best solution for them. Beyond simply using a standard template, Fruitful always customizes every website to every clients brand/needs. Custom development was provided on this site. Like most non-profits, The Hope Center for Kids is dependent upon the success of many different events and fundraising opportunities throughout the calendar year. Some of these include their Golf Event, Fall Gala, and “Gifts of Hope” Christmas Campaign – as well as some others. Below is a sampling of some of our favorite themes over the last 5+ years. Thank you to the entire Fruitful team! Well done. This team aspires to excellence – very grateful to work with all of you, and to impact our community and the Kingdom! Now we will be praying for the results. God is so faithful, thanks for all your efforts, skill and energy.